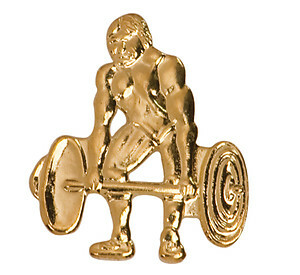 Gold finish weight lifting letter pins. Weightlifting jacket chenille pins are great to present high school lifters. 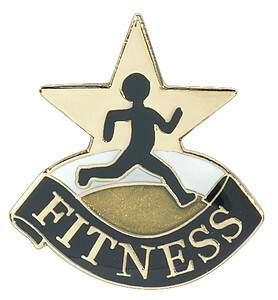 These insignia letter pins have a clutch back.